Does Apex Legends Really Need Solos? Wouldn't playing Apex Legends solo just remove a lot of what makes it so original? In the week since it was released, there’s only been name on the lips of battle royale fans: Apex Legends. Those tired of vanilla experiences or having to build a small village for every fight have found a lot to love in its squad-based, MOBA-lite approach to what was looking like a slightly tired and overexposed genre. Apex Legends has been such a success because it does things differently. With so many clamouring for it to receive solos and duos (and them seemingly being on the way), will that not just strip away its unique identity? Apex Legends’ hook is teamwork, learning to work in tandem as one of twenty three-man squads with each squad member making up for what the other may lack. Apex Legends seems to have been built from the ground up with this trio formula in mind, so to strip it down to solos would create something utterly imbalanced, though duos may work. The first big problem with adding solos is the uniqueness of the Legends themselves. They are designed to correspond with other Legends, so Bloodhound pairs remarkably well with Bangalore and Lifeline pairs best with basically everyone because she is a queen. 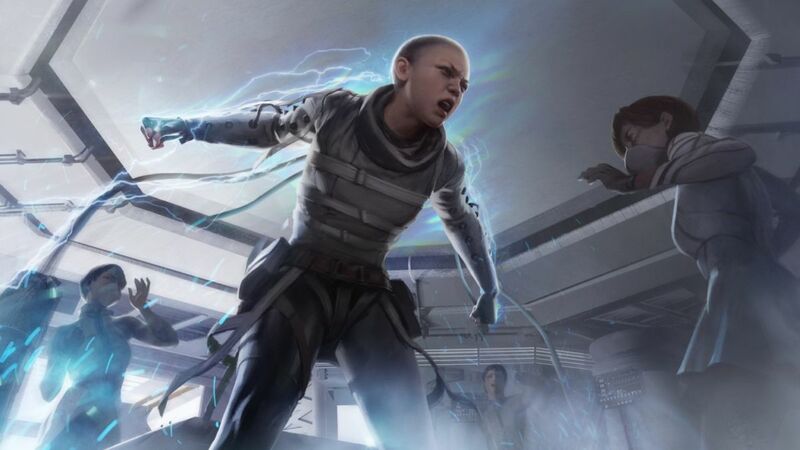 If you boil it down to solo play, the imbalance becomes immediately obvious with Lifeline only really having her agility to lean on, but that’s without even considering abilities. Continuing with Lifeline, she is the sole healer out of the Legends currently in Apex and works better on the periphery of a fight. If it’s just her versus fifty-nine other solitary players, her Ultimate creates a constant beacon for everyone else to hone in on and hoover up her Care Package items. It’s likely that solos will be overwhelmed with Lifelines calling down Care Packages and hoovering up Ultimate Accelerants, such is the usefulness of her Ult. While Lifeline’s Ultimate is no doubt useful, there are others that would be straight up broken in solo play. Bloodhound’s Ultimate allows them to follow tracks in vivid detail and also to see all opponents highlighted in red. This is countered in normal play by Bloodhound coming up against squads who can dispatch of them with concentrated fire, but solo is another story with a lot of players probably being unable to even react before they are returned to the lobby. Bloodhound would become an overwhelmingly popular pick. The problems with the overall composition of a solo Apex Legends mode extends to the most game’s most interesting mechanic: respawning. Dashing to a Respawn Beacon under heavy fire is just one of many ways in which the squad-based nature of the game makes it shine the brightest. Additionally, thanks to its heavy focus on loot, you have no chance whatsoever playing solo coming across someone who has Epic and above gear, whereas standard play at least allows your teammates to also get involved to take the almost superpowered enemy down. The only way to make it work would be to take all of the abilities out and give everyone a totally vanilla playing field. Realistically, if you remove all of its squad-focused mechanics, what kind of game are you left with? A more exotic Blackout? Well, it could possibly leave room for Respawn to deliver what many initially hoped Apex Legends would be: a more Titanfall-esque game. It’s hard to imagine Titans blundering their way across Kings Canyon, but what about Pilots? For solo in Apex Legends, there could be the possibility of playing as generic pilot with customisation options (skins, colours etc) being available to make them “yours” and mechanics like wall-running being added back in. This was originally the plan for Apex Legends before Respawn changed tack, so it’s not outside the realms of possibility. However, as good as this may sound on paper, it may create a game with a split personality and also a split playerbase. While solos in Apex Legends would be welcomed by many, I can’t help but feel like Respawn should be looking at other ways of adding variety. It’s still in its infancy, so it’s going to be fascinating to see where Respawn take 2019’s biggest surprise hit from here. They need to get rid of the Mozambique before doing anything else, mind you.